Hair Analysis Review | Reliability - Validity, Does it Work? Can hair analysis tell you about your general state of health? That’s what some practitioners would have you believe and some people are buying into this idea by sending their hair off to laboratories to be tested, sometimes paying hundreds of dollars for the privilege. Hair analyses were popular back in the 1980’s when they were used to determine whether vitamin or mineral deficiencies existed. Since then the number of laboratories performing this service have contracted as skepticism has risen about the legitimacy of this test. Despite this skepticism, online sites still exist that will take your hair sample and send a full report of what your diet is lacking as well as what toxins you’ve been exposed to. Does hair analysis for vitamins and minerals really provide any useful information? Hair analysis for vitamins and minerals: What’s the Big Idea? The idea behind hair analysis for determining health stems from the belief that you can determine an individual’s nutritional status as well as their past exposure to toxins by analyzing a strand of hair. Using a hair sample, tests can be run to determine levels of vitamins and minerals as well as exposure to toxins such as heavy metals. Proponents of hair analysis believe that by using this method nutritional deficiencies can be identified and corrected. Does it give useful information? Unfortunately, it’s not that simple. Although levels of vitamins and minerals can be determined through laboratory testing, it’s difficult to show a correlation between the concentration of a particular mineral in the hair and the levels present in other tissues of the body. A deficiency of a mineral in the hair doesn’t necessarily indicate a deficiency in the body and vice versa. In addition, mineral levels can be altered by factors such as hair dyes, shampoos, and even the use of hard water which is high in minerals. The other major problem with use of hair analysis for vitamins and minerals is that results are inconsistent between testing labs, making it difficult to draw any meaningful conclusions. It’s hardly surprising that fewer labs are offering this service these days. The American Medical Association argues against the use of hair analysis due to the lack of accuracy and the fact that the results are probably not clinically relevant. Does it have other uses? Although hair analysis for vitamins and minerals may be more scam than science, it’s sometimes used to check for exposure to heavy metals such as arsenic or lead. Even this procedure is not always accurate and usually needs to be confirmed by blood and urine testing. 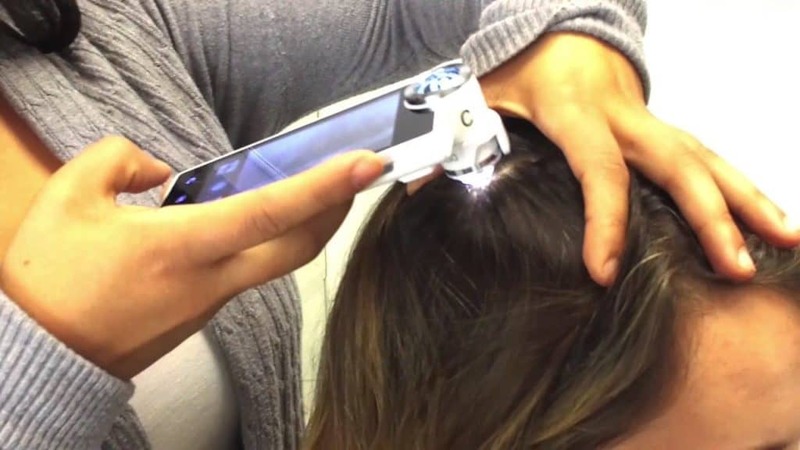 In some areas hair analysis is used to test for illegal drug use. The advantage to using hair analysis over urine drug testing is that it can pick up drug use dating back several months whereas urine testing can only detect recent drug use. Hair analysis for vitamins and mineral provides little relevant information, although hair analysis for detecting drug use, and possibly, heavy metal exposure may be more useful. Read our review about Goodbye Grey here. [wp-review id=”458″] Share With Us!